Hoop earrings that bicolor silk. Hoop earrings with bicolor silk tied together. I carefully tie the ultrafine silk thread once, there is a beautiful shiny unique to silk. Although it is a type of earring which is pinched by a spring, it seems as if it is wearing a pierced earrings. 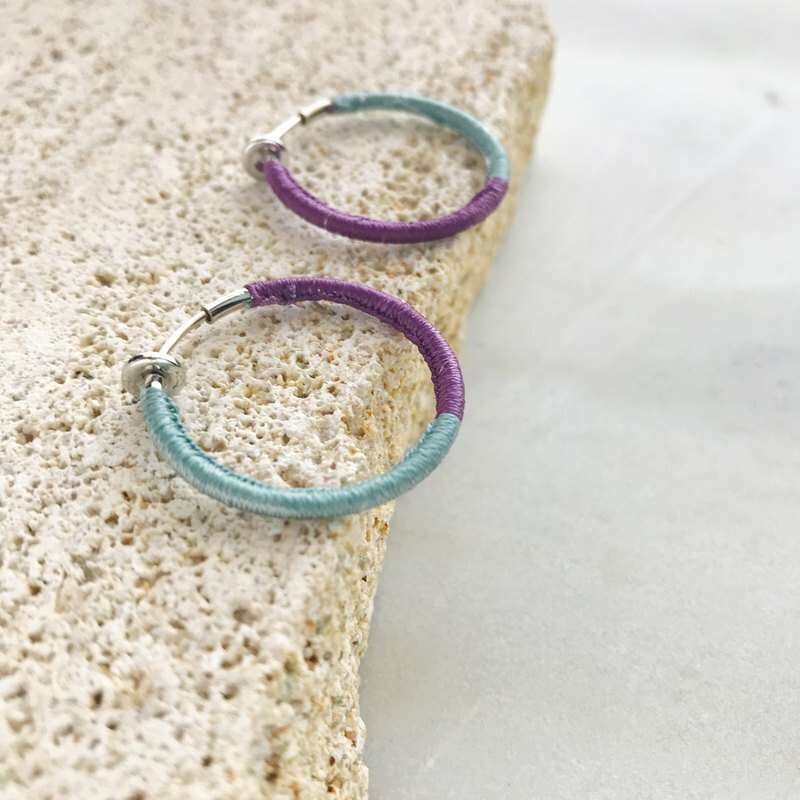 ■ Size: about 2.5 cm in diameter(earrings) ■ Size: about 3cm in diameter(pierced hoop earrings) ■ Hardware: Stainless steel ■ Color:sky blue+violet ※ It is possible to produce with stainless steel pierced hoop earrings about 3 cm in diameter. Please contact us. It will be packaged and shipped easily. ※ We will send you after making your order. Please note 2 days before shipping.